Home // Readers Klub // Captain America: Civil War Will Include Another Iron Man Character..
Captain America: Civil War Will Include Another Iron Man Character..
Captain America: Civil War is already packed with superheroes, villains, and other supporting characters, but if you thought the 2016 blockbuster couldn’t possibly squeeze in a few more players, you’re wrong. 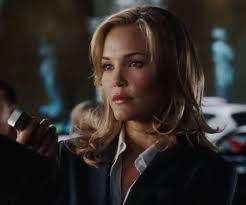 The latest addition to the ensemble is actress Leslie Bibb, who will reprise the role of Iron Man character Christine Everheart. Like General Thaddeus Ross, Christine is a Marvel character that hasn’t been seen for a while, so her inclusion is surprising, but not unwelcome. Christine was introduced in Iron Man as a Vanity Fair writer looking to do a spread on Tony Stark, and she got her wish…though not necessarily in the way she originally planned. Later she confronted Tony about the Stark Industries weapons that terrorists were using against Gulmira, the same town where his friend Yinsen lived, and in the film’s last scene she was among the pool of reporters at Tony’s press conference (if you look closely, she’s the only reporter who doesn’t stand up when Tony reveals he’s Iron Man). Christine was last seen in Iron Man 2 about to interview secondary antagonist Justin Hammer at the Monaco Grand Prix, before her attention, along with everyone else’s, was diverted by Tony participating in the race. Since Tony is still in a committed relationship with Pepper Potts, there won’t be any “spreads” between him and Christine, but just hearing more of their back and forth banter would be enough. Perhaps we’ll also get a scene of her interviewing Captain America…before he’s forced to go on the run, that is.